I couldn’t see a weakness as I watched the likes of Glenn Lazarus, Paul Harrigan, Paul Sironen and Brad Clyde smash the all star Queensland forwards including Darren Fritz, Mike MacLean and Andrew Gee. Then it occurred to me that we have all seen the ‘greatest ever’ Origin lists, but we have never looked at what is the greatest actual Origin team to ever take the field. 4. The quality of the opposition at the time. 1. Queensland 1987-1991. Four out of five series wins with two clean sweeps. 2. NSW 1992-1997. Five out of six series with one clean sweep. 3. Queensland 2006-2017. Twelve from thirteen, with one clean sweep. There could be arguments for Queensland in the early 80s, NSW in the mid 80s and again NSW in the early 2000s. – Coaching makes a difference. Phil Gould’s teams in those dominant eras of the early 90s were not always as full of superstars as one would have thought, but they were all solid players. He may be a bit of a controversial figure now, but he was a great coach. Ditto Wayne Bennett in 2001 with a frankly average team. – It’s a wonder Queensland won any series in the 90s and early 2000s. Some of their teams were very poor on paper. The worst team might be a good article in itself. – It was almost impossible to select a single team from the great Queensland streak of 2006-2017. And part of the secret was that the squads were remarkably similar over time, with only one or two changes each year. Reserves: Dale Shearer, Michael Hagan, Trevor Gillmeister, Gary Coyne. This was period of absolute dominance for Queensland. 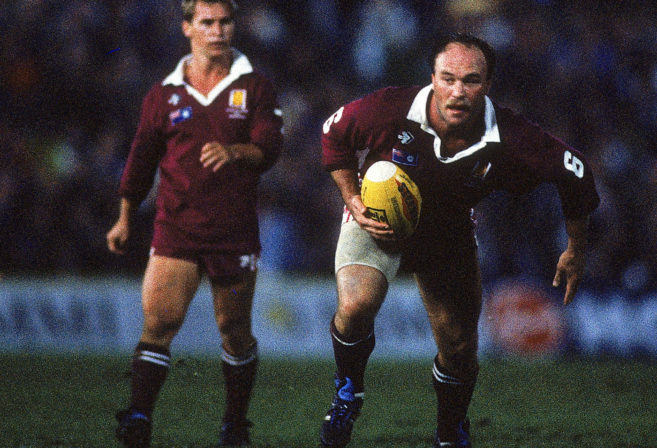 From 1987 to 1989 Queensland lost one single game and won eight, including the only back-to-back whitewashes. A brilliant team with Hall of Fame halves, speed on the flanks and a dominant forward pack. Find me a weakness here. A Brad Clyde injury away from being the perfect team. When Fittler, ET and Harragon have to play out of position you know you have a strong team. Possibly the best forward pack of all time. The infamous grenade team. Let’s face it, Queensland were a bit ordinary during this period, but this is still a team that put on 50. Confidence, skills and mobility to burn. And a fairly handy bench player. And here it is. The best team of the ‘streak’. Headlined by Slater, Inglis, Lockyer, Thurston and Smith with Cronk and Parker on the bench. So, which is the best of the best. Which team on its day would beat all comers? As a Queenslander it is hard to go past the Class of 2011, full of (dare I say it) ‘future immortals’. 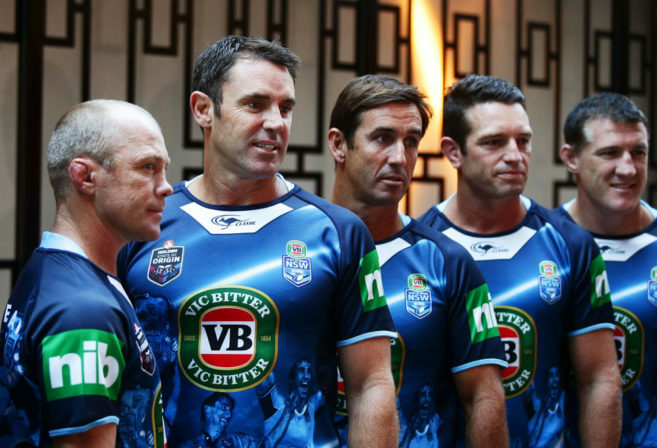 But boy that 1993 New South Wales team would give them a run for their money. Honourable mentions: Queensland 1984 Game 2, NSW 1996 Game 1, NSW 2005 Game 3 and any Queensland team from 2009 to 2012, plus 2015. So next time you stumble on an origin classic, remember these legendary teams from the past.